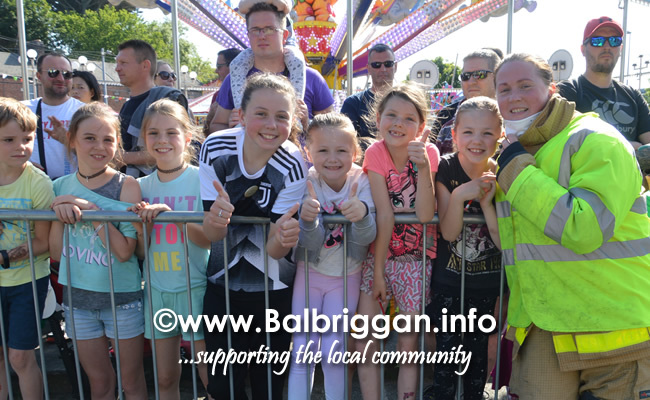 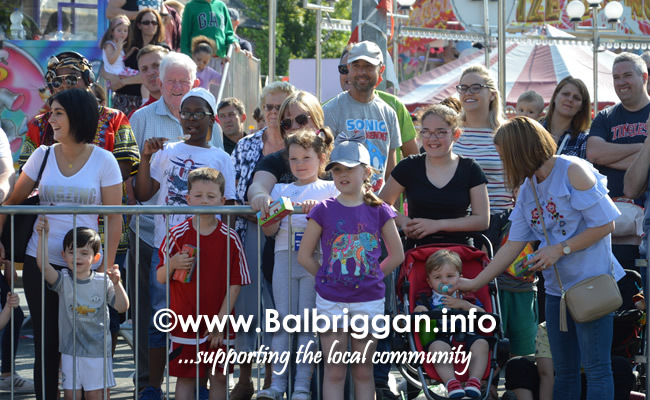 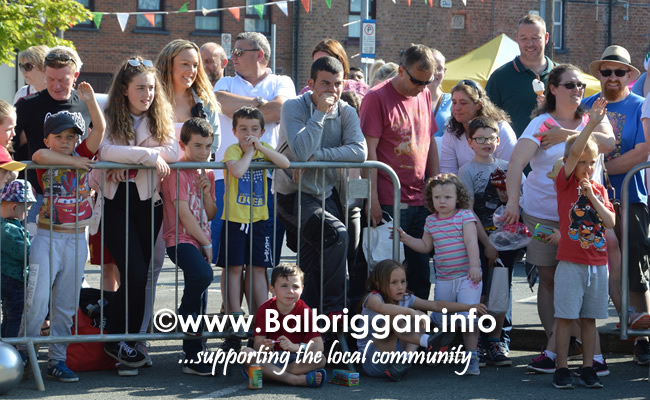 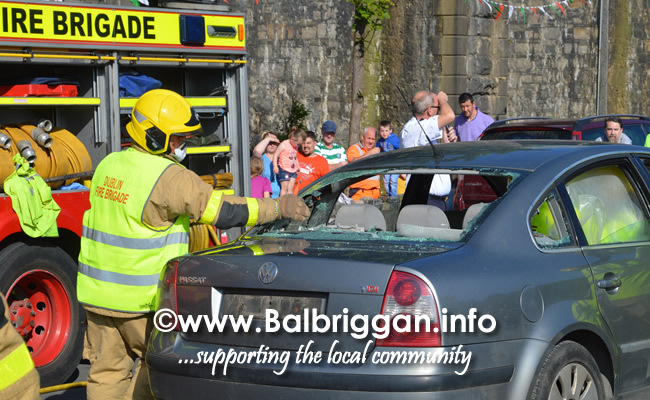 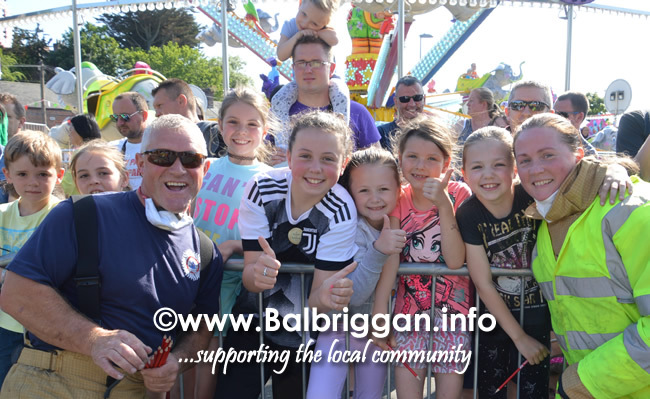 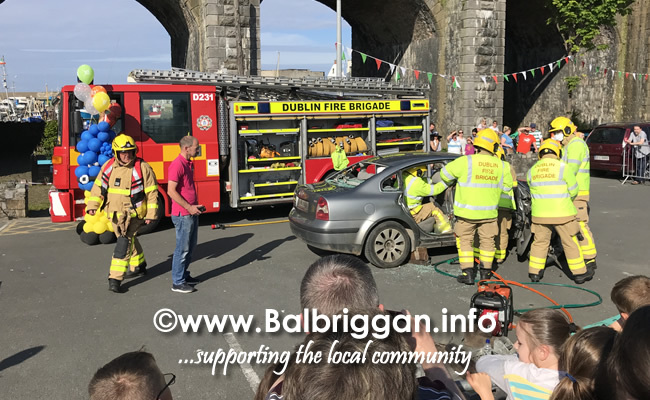 A very popular even at Balbriggan Summerfest is the Balbriggan Fire Brigade car crash demonstration. 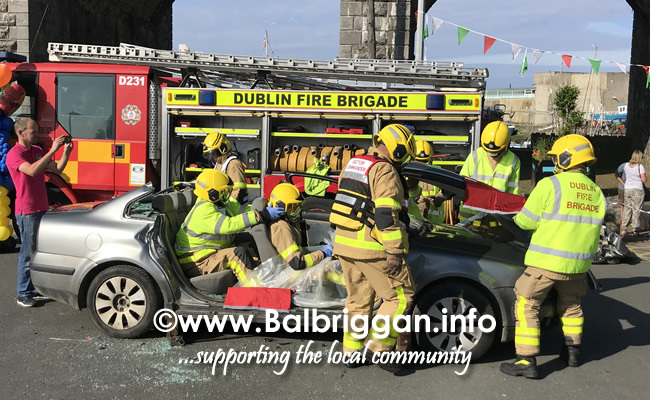 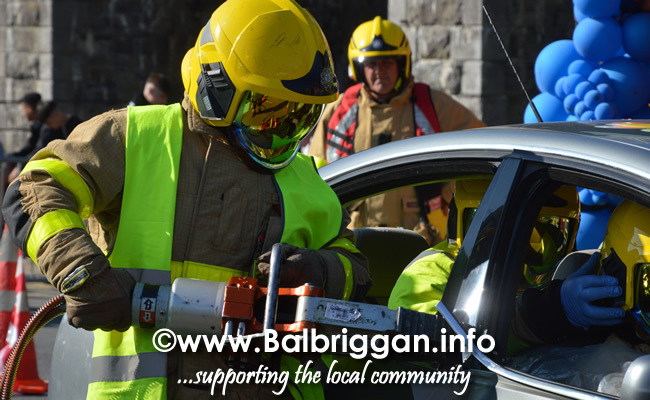 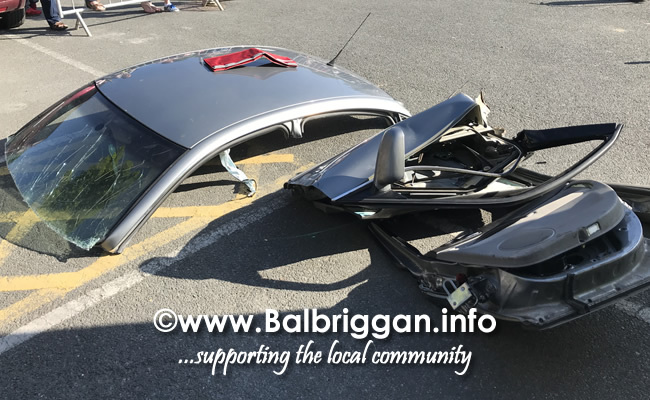 Being a member of a fire brigade takes substantial commitment and time and Balbriggan firefighters gave a demonstration on how they deal with extricating people and performing rescues when they respond to a motor vehicle accident. 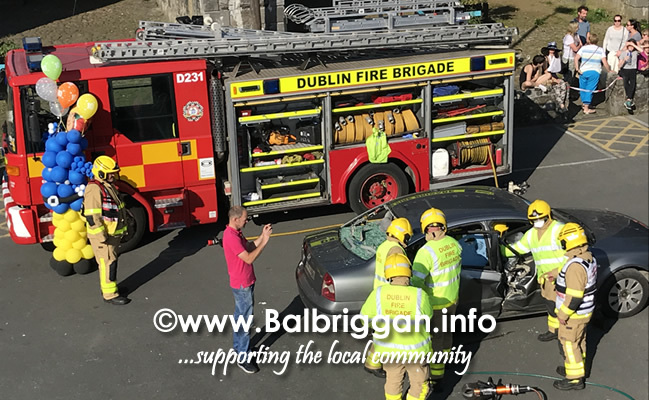 Spectators gained valuable insight in the stark reality of a car crash and what the Fire Brigade have to do to cut a car away from a victim. 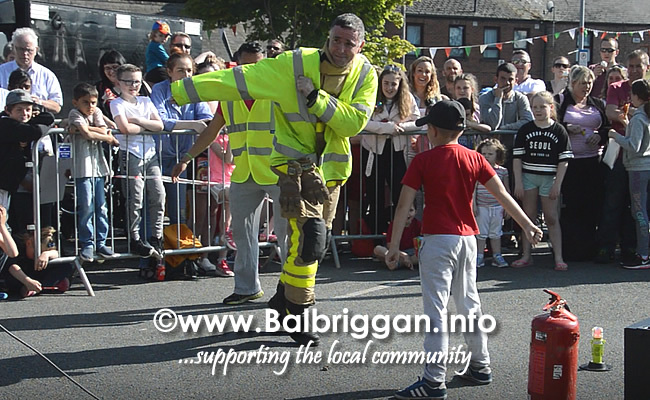 Children were delighted to get up close and personal with the fire fighters and got some goodies to take home. 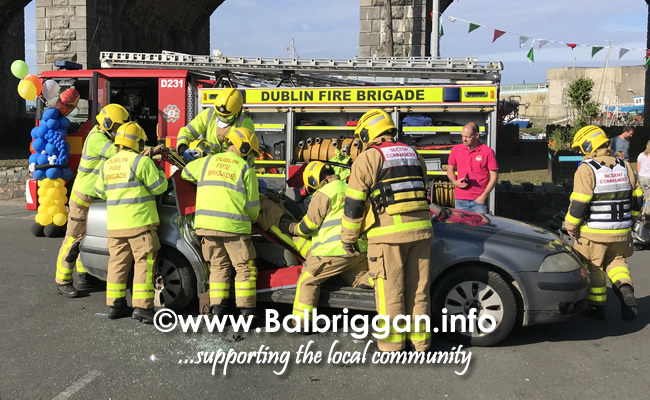 A great display of professionalism, skill & teamwork from these well trained individuals.